Can I Claim Damages if I Didn’t Wear a Seatbelt? Even if you didn’t wear a seatbelt at the time of the car accident, you could still be eligible to receive compensation for car accident injuries. We understand that any legal case can be difficult. If you have any additional questions or concerns about your case, don't hesitate to contact us! Fortunately, our car accident attorney can help you understand your rights so you can hold negligent drivers and insurance companies accountable. Continue reading to learn how you can still file a claim after a car accident, despite not wearing a seatbelt. We are waiting to help you with your car accident case. Our skilled attorney will help you get the best result possible from your case. Can I file a claim if I wasn’t wearing a seatbelt? Since Michigan is a “no-fault” car insurance state, you must file a claim with your own insurance. Ask your car accident attorney if your case meets the required thresholds for filing a lawsuit against the at-fault driver. You may have the right to file a claim against the at-fault driver if your case meets certain thresholds. It is generally accepted that drivers have a duty to operate their vehicles with reasonable care. If breaching this duty harms another person and causes quantifiable damages, the at-fault driver can be held liable for your injuries. 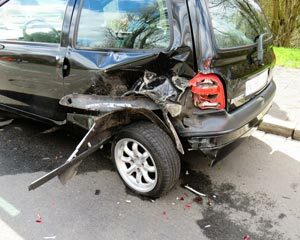 Our car accident lawyer can help you prove negligence, even if you didn’t wear a seatbelt at the time of the accident. Michigan is a “Comparative Fault” state, which means that your compensation will be reduced by the percentage you’re found responsible for your own injuries. The law requires drivers to always wear their seatbelts. If you’re in violation of this law, the at-fault driver’s insurance company may argue that your injuries wouldn’t have been as severe had you worn your seatbelt. If your case goes to trial, a jury will determine the extent to which not wearing a seatbelt contributed to your injuries. For example, a jury may find that you’re 20% at fault for your car accident injuries. This means that a claim worth $100,000 may be reduced to $80,000. If you’re found to be more than 50% at fault for the accident, the worth of your claim will be reduced by 50% and you won’t be able to receive non-economic damages such as pain and suffering. Depending on the type of car accident, wearing your seatbelt may not have affected the outcome. For example, most fatal car accidents are head-on collisions. If the car accident was serious enough, a seatbelt might not have been enough to protect you from being injured. Proving this will require the knowledge and experience of a car accident attorney. Our car accident lawyer is ready to help you win compensation for medical bills, lost wages, and other damages. We understand that your case may have extenuating circumstances, which is why we look into every detail. Our car accident lawyer has experience with cases involving drunk driving, distracted driving, uninsured drivers, and other factors that could complicate your claim. If you were a passenger in a car accident, you may be able to file a claim against the driver of your vehicle. Our car accident lawyer can argue that it was your driver’s responsibility to insist you wear your seatbelt. Likewise, Michigan law states that children must wear their seatbelts, regardless of whether they sit in the front or back seat. Car accident attorney Jerry M. Beurkens works hard to help you receive the compensation you deserve. Even if you didn’t wear a seatbelt at the time of the accident, you could still be eligible to receive compensation for car accident injuries. To request a consultation with our car accident attorney in Grand Rapids MI, call Beurkens Law at (616) 459-5344.